Here it is…the one you have been waiting for 🙂 Please forgive the mishmash of photos for this though. I was trying to get them done during the very short naps (on the days my daughter would stay down) and just snapped when I remembered, “Oh yeah, I should have pictures for a tutorial.” LOL. Without further ado, I leave you with the tutorial now. 1. First, prepare a template. 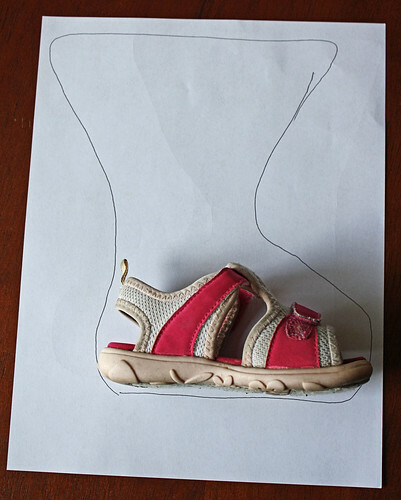 Place the shoe you are using sideways on a piece of paper and create a boot like outline. I made mine go out at the top, but you could just make it straight up if you like. Also, it doesn’t need to be perfect. Sweaters are stretchy, so there is room for some error. 2. 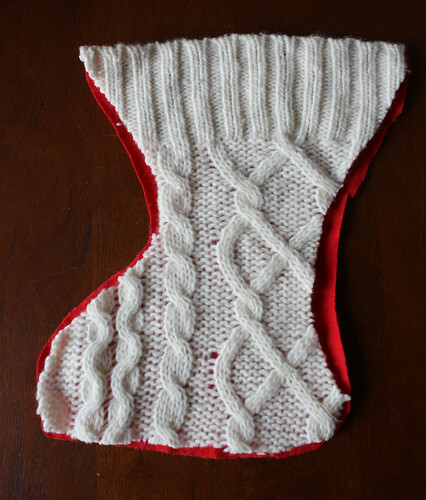 Place the boot pattern on your sweater. The picture here is actually on a t-shirt because I made two layers for my daughters. The sweater was “holey” and I wanted the added layer of protection. So that is an option if your sweater chosen is like that too. 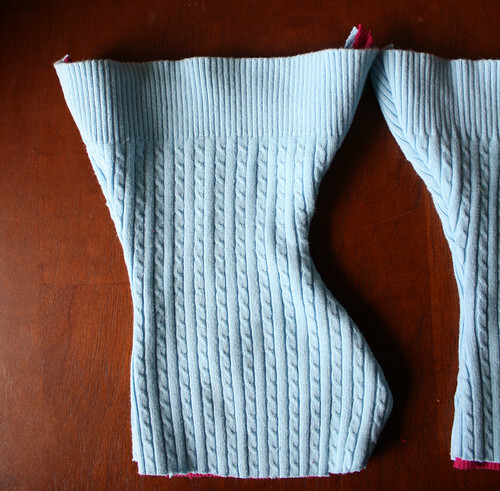 Make sure each toe is pointing in a different direction and that the top of the boot lines up with the bottom of the sweater. Cut out. You will have four pieces. 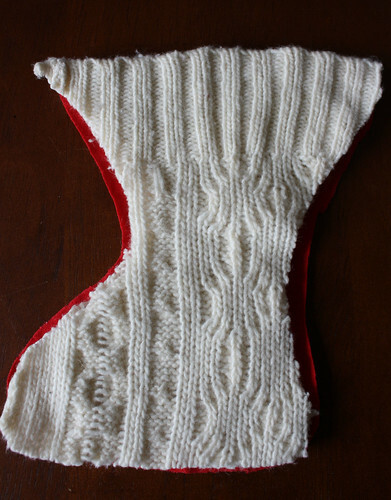 Wrong side up of 2nd sweater piece. 4. Sew around the sides only. Leave the top and bottom open. 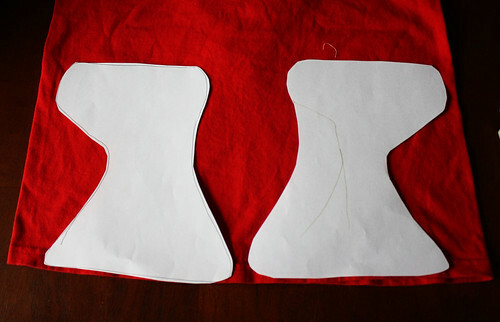 If you like, you can finish the seams. 5. 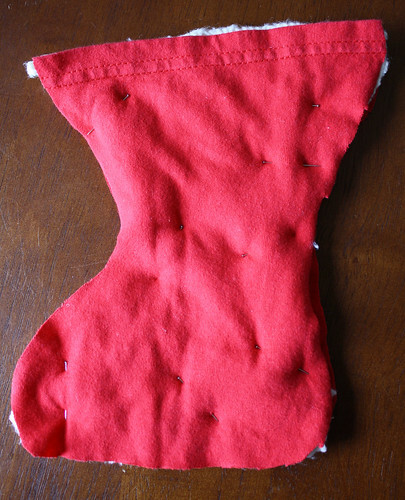 Turn right side out to make sure everything was sewn together. 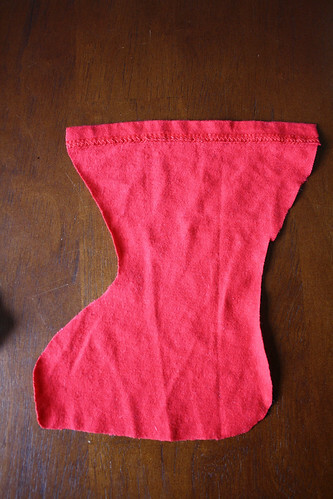 Also, trim any seam ends that are poking out. 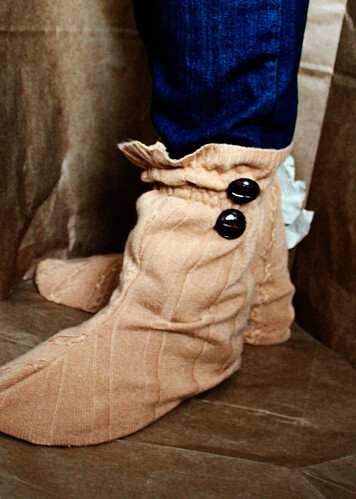 If you desire to shirr the top of the boot like the ones I made for me, I would do this now. Put it over your leg to see where you would like to shirr it and then go at it. I recommend this for very light sweater materials that do not stay up on their own. 6. Turn wrong side out and have your glue gun read. 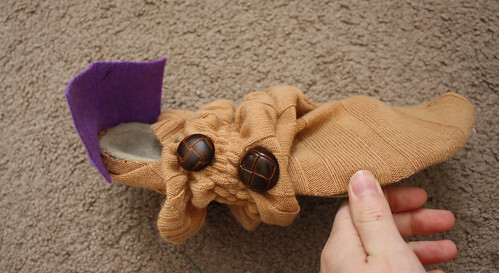 You are going to begin gluing the sweater onto the shoe. 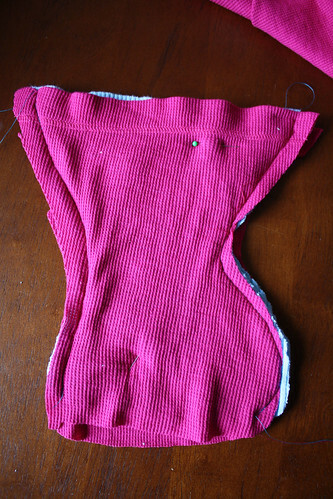 Start by gluing the back of the sweater boot middle to the back middle of the shoe. 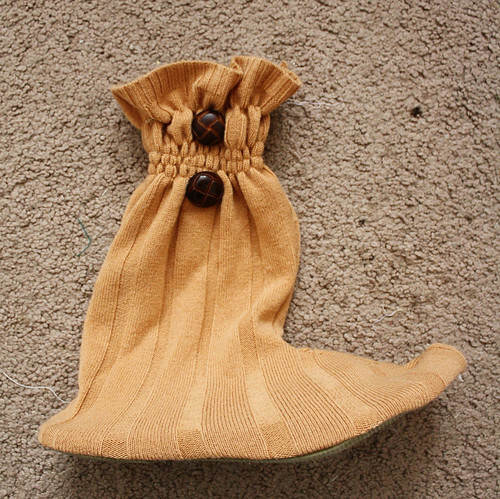 Then glue the front middle of the sweater boot to the front middle of the shoe. Finish gluing on the sides. 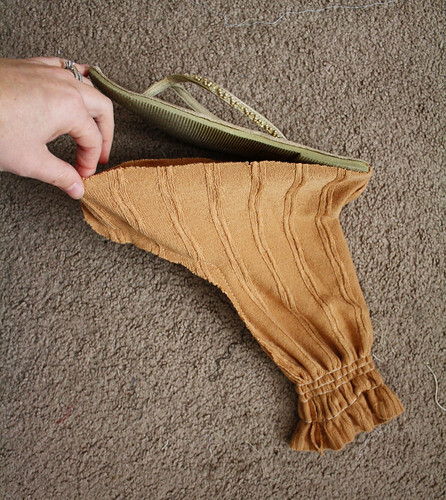 ***If using flip flops, you can add a little heel with a rectangular piece of felt to help fill out the back. Just glue the felt on the inside. 7. Add on any decorations you like. Thanks for sharing this tutorial… I just LOVED the idea!!!! Did you cut off the straps on the sandal? These are adorable! I actually didn’t, but you could if you wanted. You could really use any kind of shoe, even a sneaker type if you like as well. I just used sandals to get a little more use out of them before my daughter grew out of hers and before mine were too icky. This is BRILLENT! I love it! THanks for sharing the tutorial! You are BRILLIANT!! ::bows down as not worthy:: What a GREAT idea and terrific tutorial. Going to try it, thanks so much! LOL! and everyone askes where I bought it! really cute! love how you are recycling! 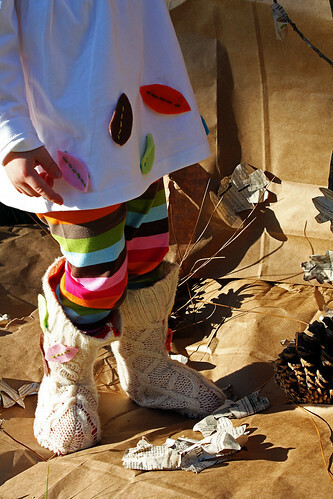 I love these boots and can’t wait to try making my own! I have a pair of old boots that have holes in them. Do you think it would work to cover them with a sweater? 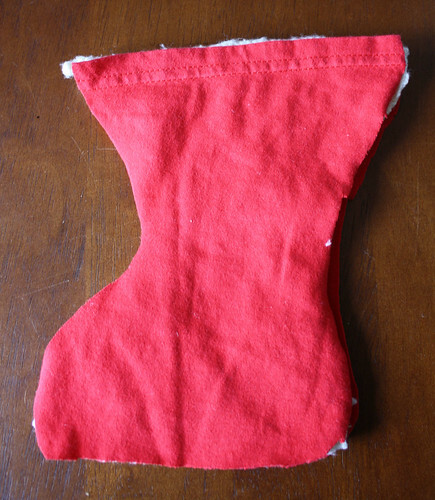 The sole of the boots is fine, the fabric is just coming apart on the back of the heel. I’d love to see a picture of the bottom of these. That would help me so much! I can’t tell if in the gluing step you are gluing to the bottom of the shoe or sole on the inside where your foot goes. You will actual glue it onto the side of the sole. But, you could glue it onto the top of the sole if you like. WOW! These are too cute and SO smart! 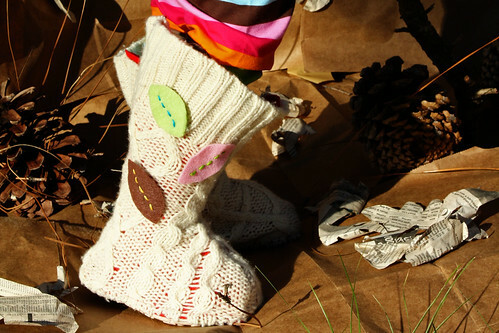 Perfect for little ones that are reluctant to give up the flip flops when the cold weather hits! THANK YOU! 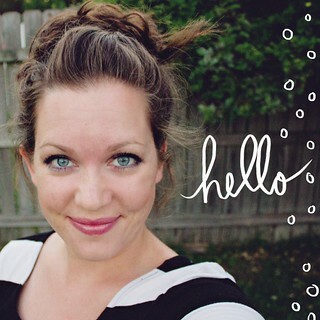 Your blog is keeping me very busy these days! Love you for this! I made my daughter some using this tut and I have had numerous comments on them! My daughters little legs and ankles are so chunky I could not find a pair of boots to fit her! So with this I used a pair of house slippers of hers and made sure they were big enough to fit over her chunkiness! Thanks so much! This is such a good idea…so good that I whipped up a pair this last weekend using some Old Navy flip flops I got for .57 on clearance. Here’s my question. The flip flop is either too heavy or I completely messed up…how do I keep the flip flop from flopping all over? The boots don’t want to stay on save for the cuff part of the sweater keeping them on. Does that make sense? I made them for my preggo sister and I can’t have her falling and breaking her neck on account of me! lol Any ideas to keep them “on” better? Tighter?